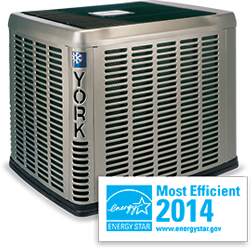 The most important day in the life of your air conditioning system is the day it is installed. This is due to the number of measurements that must be taken into consideration to ensure that your air conditioning system and ductwork is sized correctly. It is important to find an air conditioning company that can perform these measurements and help you find the perfect air conditioning system. Ken’s Heating and Air can perform all these measurements and use their knowledge to present you will all your options. Get Comfortable With Us! What is actually being replaced? Is the Ductwork being replaced? What size of Equipment is being quoted? What SEER rating does the new air conditioning receive? What brand of air conditioning system is being installed? These are just a few questions that can help you find the perfect air conditioning system. If you become overwhelmed or would like a second opinion contact us today! We offer free second opinions on air conditioning replacements and would love to help guide you to the best air conditioning system for you.